Heat the oven to 375 degrees F. Cut the first ½ inch off of the head of garlic and drizzle with olive oil. Wrap the garlic head in aluminum foil and bake for 30 minutes. Let the garlic cool and squeeze the garlic cloves into a small bowl and mash with a bit of olive oil and kosher salt (you can use a fork). Peel the potatoes and cut into very rough 2-3 inch cubes, place the potatoes in a pot with water (with enough water to cover the potatoes fully). Bring to a simmer, and cook for 20 minutes or until potatoes are tender. In the same pot used to cook the potatoes, heat the cup of milk. 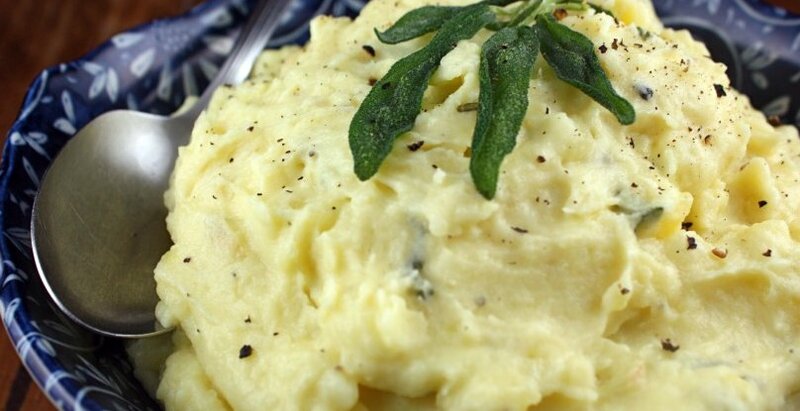 Add the potatoes and roasted garlic mash with a potato masher. Add salt and pepper to taste.